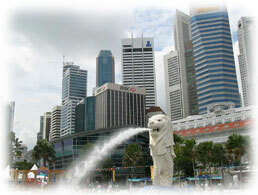 Singapore is a multi-racial country made up of Chinese, Malay, Indians and other minority races. The resulting mix of cultures makes Singapore stands out as a unique destination, where visitors get a chance to immerse in the heritages of these ethnic communities. Admire the beautifully restored shophouses and decorated temples in Chinatown, hunt for colourful silk saris and exotic ethic jewelries along spice-scented streets in Little India or discover traditional Malay cuisine and handicrafts in Kampong Glam or Geylang Serai. No visit to Singapore will be complete without a trip to Sentosa Island, which includes star attractions like Fort Siloso and Underwater World. Other notable places of interest in Singapore include Singapore Zoological Gardens, Night Safari, Fort Canning and city attractions like The Merlion, Esplanade, Statue of Sir Stamford Raffles, Civilian War Memorial, Supreme Court and Orchard Road. A plethora of unique experiences awaits, book your Singapore hotel today. The Royal Peacock is located in the quaint Chinatown district of Keong Siak and surrounded by coffee shops and building that date back to pre-World War II. The area bustles with local nightlife and is walking distance to heart of Chinatown which is a tourist attraction in itself. The Fragrance - Selegie hotel is located within walking distance of historical Little India. The world famous electronics super mall Sim Lim Square and Bugis night bazaar are within walking distance. Orchard Road, Little India and 24 hours Mustafa Shopping Centre are within easy reach. The Summerview is located along Bencoolen Street and just off the civic district of Singapore, the hotel is close to Bras Basah Rd where the Art Museum, National Museum, Asian Civilisations Museum and National Library are located. The Royal at Queens hotel is located on Queen Street in what is known as the civic district, so called because it was the seat of the colonial government. Within the area one can find some historical architecture like the Raffles Hotel, the National Museum, the Arts Museum, CHIJMES, St Andrew's Cathedral, the Archibishops residence and several churches. Conveniently located 5 minutes from Bugis MRT station and 10 minutes from the City Hall MRT station. The Parkroyal is located on Beach Road, the Suntec Convention Centre and the Marina Bay area are easily accessible by crossing over a bridge. The Scarlet is located strategically in Singapore's historic enclaves and within Central Business District and between the heritage Chinatown region. One could gain easy access around Singapore with Tanjong Pagar MRT station just 5 mins away. The Waterfront is so named because it is on the banks of the Singapore River, although it is upstream from the popular Boat, Clarke and Robertson Quays. The Negara hotel is located along Claymore Road which is a slip road off Orchard Road, the main shopping and Entertainment hub. Most of the main shopping centres, including the Duty Free Shop (DFS) along the famous Orchard Road are a mere 5 minutes walk. Orchard MRT station is an 8 minute walk away. The Amara Sanctuary Resort is located in 3.5 hectares of secluded tropical gardens on the hillside above Sentosa's popular Palawan Beach. About 4 mins walk to Palawan beach, 15 minutes drive from central business district and 5 mins drive to the latest Vivo Shopping Centre in the mainland.